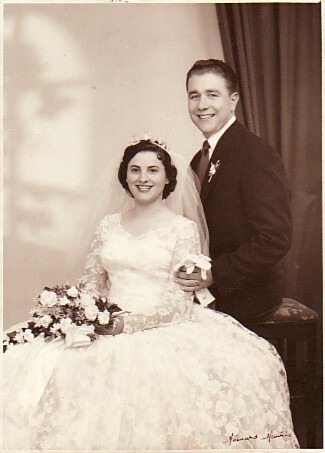 Above: My parents, Georgios and Maria, on their wedding day. Above Right: Outside my paternal aunt, Aspasia's house. My mother, Maria, is third from left in the front row, while aunt Aspasia is fourth from the left in the front row. 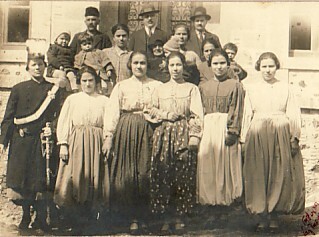 In the centre of the back row is my father, Georgios, while third from the right in the second row- holding a child- is his sister-in-law, Maria Sofianou. 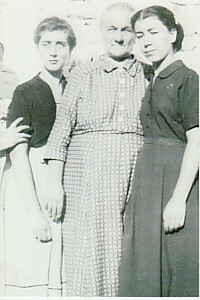 Above: My mother, Maria, with my sisters, Eleni and Atlanta. Above Middle: At the panygiri of Agios Haralambos. I am on the left, while the old fellow is Koumis and the other horse rider is Georgios. 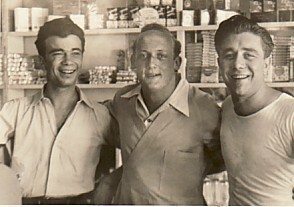 Above Right: With Nikolaos Sapounas (left). 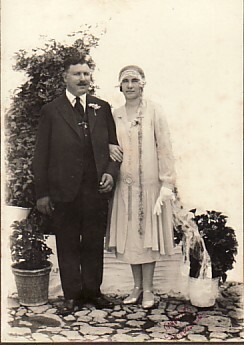 Above: At Georgios Konstantellis' wedding. Standing from left are: Ignatios Malolakis, Efstathios Kallintzis, Georgios Konstantellis, Stella Konstantellis, Christos Giannakas, Stavroula Giannakelli, myself and Apostolos Sapounas. 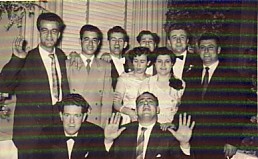 In the front row are Ioannis Gavrilis and unknown. Above: At my first business, the Pacific Milk Bar, in Newcastle. L-R: my cousin and partner, Stylianos Tsohatzis, Bob English- who worked for the Sydney Morning Herald- and me. Above: With my wife, Niki, on our wedding day. 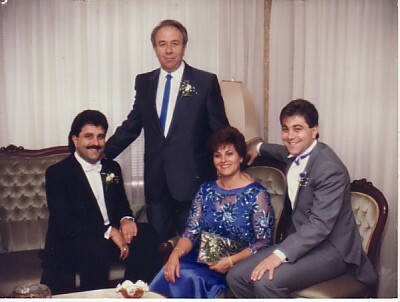 Above Right: The Sofianos family. 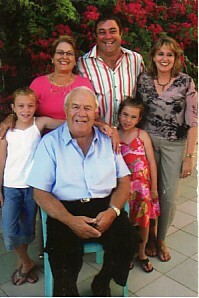 With my wife, Niki, and our sons, Georgios and Panagiotis. Above: With my wife, Niki, my son, Panagiotis, and his wife, Judy, and their children (my grandchildren), Madison and Isabella.